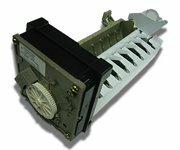 ApplianceAssistant.com believes that when using, repairing or otherwise working on any electrical appliance, safety is of the utmost importance. 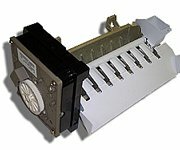 While following the instructions and procedures provided by ApplianceAssistant.com, always use caution, care and good judgment when repairing or attempting to repair refrigerators, freezers, ranges, washers, dryers, dishwashers, trash compactors, microwave ovens, room air conditioners or any other appliances. You should always unplug the appliance and disconnect any and all power sources before you attempt any repairs. Also, always be sure to turn off the gas at the source before repairing any gas appliance. Always keep clothing and hair away from any moving parts and wear safety glasses when using any tools. 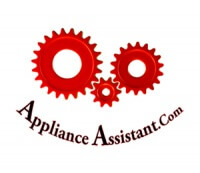 Due to differing conditions and customers’ varying skills, ApplianceAssistant.com is not responsible for any damages suffered or losses incurred as a result of following the instructions and information contained in this site. 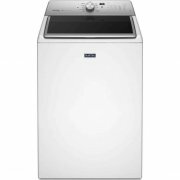 Additionally, ApplianceAssistant.com cannot assume responsibility for any damage to property or injury to persons as a result of misuse of the instructions and information provided in this site. Before beginning any projects, be sure to review the instructions carefully and in their entirety. After reviewing the instructions in their entirety, if you have any doubts, concerns or you have any remaining questions, be sure to consult with experts or authorities in your local area. ApplianceAssistant.com contains techniques that are to be used for a wide variety of applications. 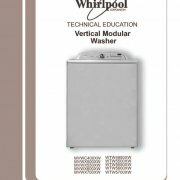 In some instances, additional techniques or procedures not supplied by ApplianceAssistant.com may be required. Additionally, the techniques and concepts contained within this site vary widely and may require different skill levels. Some techniques may not be appropriate for some customers may require assistance from a professional or expert. Please be advised the any deviation in following the directions and instructions contained in this site may result is damage to property or injury to persons. Accordingly, you should always first review instructions in their entirety and follow them as instructed. Before beginning any repair, you should read any and all manufacturer safety warnings, instructions and procedures included with the products or appliances. Because local codes and regulations differ, you are also advised to check with local authorities to make your project complies with all applicable codes and regulations. Any and all content appearing in this site, may not be used, copied or imitated, in whole or in part, without the prior written permission of ApplianceAssistant.com. ApplianceAssistan.com’s graphics, icons, animations, videos, and scripts are services marks, trademarks and or/or trade dress of ApplianceAssistant.com, and may not be used, copied or imitated in whole or in part, without the prior written permission of ApplianceAssistant.com. 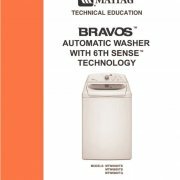 Any and all other third party’s trademarks, registered trademarks, product names or logos, and company names or logos displayed in this site, including Maytag, Whirlpool, Kenmore, Amana, Estate, Kitchen Aid, Kirkland, Roper, Inglis, Admiral etc. are the property of their respective owners. References in this site to any such names, marks, products or services of these third parties are provided solely as a convenience to you and do not in any way constitute or imply ApplianceAssistant.com’s endorsement, sponsorship or recommendation of the third party, information, product or service. Some of ApplianceAssistant.com’s products and processes appearing within ApplianceAssistant.com may be covered by one or more patents and are subject to other trade secret and proprietary rights. ApplianceAssistant.com reserves all such rights. You agree not to infringe upon such rights or decompile, reverse engineer, or disassemble any of the products or processes of ApplianceAssistant.com. Any and all other third party products or processes covered by one or more patents are the property of their respective owners. ApplianceAssistant.com cares greatly about your privacy as our customer. We will not use our customers’ personal information in any way other than to provide better and more applicable information offered within this site. All information you provide to us is strictly confidential. We will not sell, rent, or give away your information to any third party for any reason ever. Online transactions are facilitated trough PayPal. ApplianceAssistant.com does not retain credit card numbers. Shopping with ApplianceAssistant.com is safe! We guarantee that every purchase you make with us is safe and secure. This means you pay nothing if unauthorized charges are made to your card as a result of shopping at ApplianceAssistant.com.